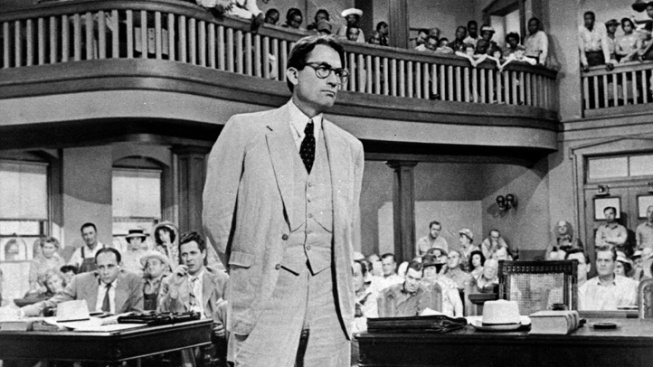 The movie version of "To Kill a Mockingbird" is the rare adaptation as beloved as its source material. So when Harper Lee and her publisher announced Tuesday that this summer they'll release the 88-year-old author's second book, "Go Set the Watchmen," a kind of sequel to "To Kill a Mockingbird," the shockwaves were felt almost as much in Hollywood as they were in the book world. If Lee agrees to sell the movie rights of her new book, it can be expected to be one of the most eagerly sought novels for optioning to the big screen. Particularly since Lee said Tuesday that "Go Set the Watchman" follows her young heroine, Scout, into adulthood, it's sure to be feverishly pursued by producers. It's likely to spark a bidding war well before it lands on book shelves July 14. Starring Gregory Peck and featuring a young Robert Duvall as Boo Radley, "To Kill a Mockingbird" has regularly been ranked among the greatest American movies. It won three Oscars, including best actor for Peck and best-adapted screenplay for Horton Foote. In 1995, it was added to the National Film Registry, and in 2003 the American Film Institute listed Peck's Atticus Finch as the greatest movie hero of the 20th century. "Congratulations to Harper Lee," Duvall staid in a statement Tuesday. "I am looking forward to reading the book. The film was a pivotal point in my career and we all have been waiting for the second book." Mary Badham, who was Oscar nominated at age 10 for her performance as Scout, only acted in a handful of films and TV shows after "To Kill a Mockingbird." Almost 40 years after her last film, she came out of retirement to appear in the 2005 indie drama "Our Very Own." Badham didn't respond to requests for comment Tuesday.